Even a “simple” residential sale typically requires signing over thirty separate documents, which substantially affect your rights at closing and after you move into your new home. Is there liability for an incorrect Well Certificate? Who pays for damage done before closing? What is a Real Estate Disclosure Statement? Getting the right answers to these and other important questions can make a difference of literally thousands of dollars and avoiding litigation. Having your attorney at closing ensures that your rights are protected. Closings can be difficult, but it doesn’t have to be that way. When last minute problems occur, they usually involve money. An experienced Real Estate lawyer can ensure than any problems are resolved efficiently and fairly. We represent clients in the acquisition, construction, financing, and sale of real estate. In residential transactions, it is important to review the proposed purchase agreement with your attorney before you sign it. After the purchase agreement has been signed other issues, such as title, financing or issues involving the physical condition of the property can rise. Consulting with an experienced attorney about these matters can prevent many problems from arising, and make you feel secure in the purchase of your home. Charles Kallemeyn has over 17 years experience practicing as a real estate attorney, including 3 years of experience as an attorney with Commonwealth Land Title Insurance Company, handling both residential and commercial transactions. We represent individuals and corporations in the development of real estate. Projects can number from one to over one hundred lots. Multiple layers of government regulation and public and political considerations can cause delays, and even halt development projects. We assist clients through the entire development process, beginning with the client’s conception of a project, all the way through final plat approval and sale of lots, either individually, or in negotiations with larger builders. We represent both landlords and tenants in the drafting, analysis and negotiation of commercial leases for office, warehouse, industrial, retail and other types of projects. 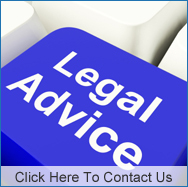 We also have considerable experience in the litigation of unlawful detainer and eviction proceedings.